Gift memories to your loved one this Valentine’s at Baan Tao Imagine the soothing sound of the waterfall and an outdoor seating under the stars…just for the two of you. Come and celebrate the day of love at Baan Tao – the best Pan-Asian restaurant in town! Treat your beloved to a delectable six course Pan-Asian menu and a dessert spread that will make you fall in love all over again! What more! There will be live music to set the mood just right! So head to Baan Tao Hyatt Pune Kalyani Nagar and gift your loved one with memories that will be cherished forever! 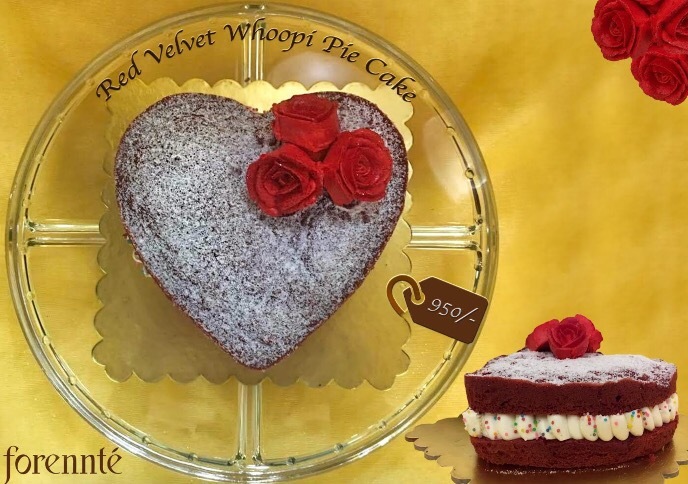 Terttulia has planned a romantic Valentine’s Day for all you lovers with Chefs Love Menu which includes a few special old dishes, The Valentine Drink of 2017- The Evening Job and a perfect end to your meal with the all-time favourite, sinful Valentine Dessert, the 5 Layer Chocolate Cake. Drop in with your loved one and enjoy your favourite ambience filled with love vibes. Ladies, reach to the end of your closets to bring out those pleated skirts and checkered shirts! Gentlemen, have you saved your suspenders, the white shirts? Better get them out too because this Valentine’s Day, BAR BAR is taking you back to your high school days. It promises to be a rocking evening for everyone looking to have a bit of fun playing dress up and listening to chartbusters from the 80s, 90s and early 2000s. 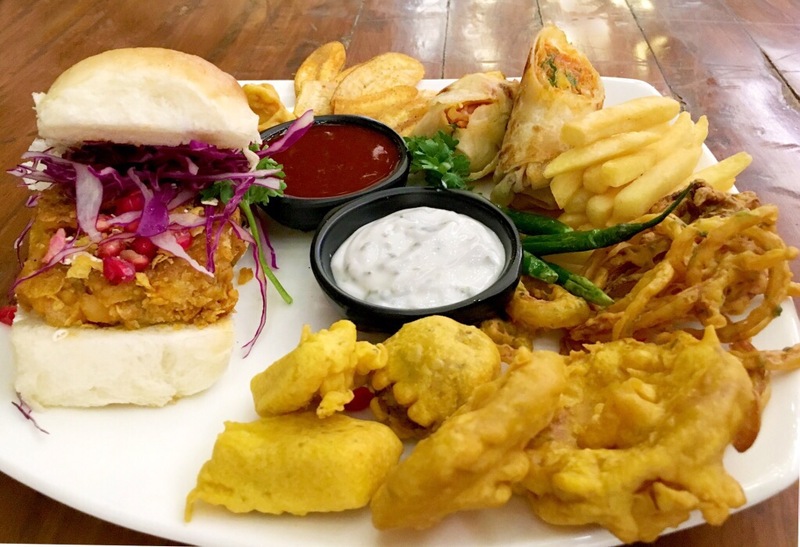 Dance away, feel young and loved, enjoy a playful food menu inspired by street food common amongst high school students like Pulled Chicken Dabeli, Chinese Bhel Frankie, Machchi Mirchi Pav etc. Drinks are pocket-friendly starting from Rs 99 with Wholesale Pricing on all drinks, all night long! Don’t miss out on new special Valentine’s cocktails like Passion Punch, Break Free, Orange County nor our concept of Drinking More and Paying Less. ♥AMBER • TAKEN OR SINGLE, NOT SURE. IT’S COMPLICATED! ♥GREEN •SINGLE, GO GO GO! Whatever be your relationship status, let’s all celebrate love as love is in the air, for it is Valentine’s Day. But that’s not all that’s in the air. You’ll also find a selection of dangerously funky and criminally danceable tunes – covering everything from disco to house to EDM to commercial – wafting through the speakers and caressing your ears, whispering sweet nothings until you give in and get the hell on the dancefloor. The Little Door promises you some great time and cheer this Valentine’s Day as for everyone who also walks up to the bar, gets free ‘love shots’….unlimited! And the entry is absolutely free!! Red FM 93.5 in association with Classic Rock Coffee Co. presents Krush On Kabir, the Official Red FM Party! Its your chance to meet the heartthrob RJ Kabir who charms everyone with his voice and wit! Six lucky ladies will get to have dinner exclusively with Kabir at his private table. Keep listening to his show Hashtag Red to get a chance to be one of the lucky winners. RJ Kabir will also be hosting his show that evening, live from Classic Rock itself. They have a scintillating live performance by Willy Rimsu and the lovely Cynthia Furtado in the amphitheatre section. 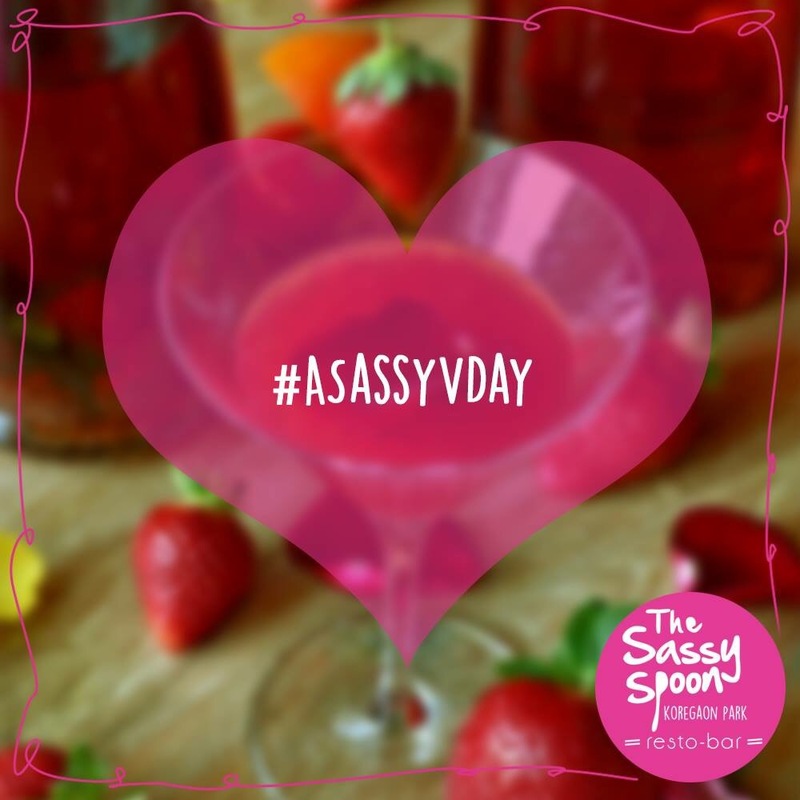 Add that extra sass to your valentines only at The Sassy Spoon, Pune. Treat your special one to love potions like, LoveLorn a special muddled strawberry drink, Raspberry shortcake made with raspberry puree, amaretto and hazelnut, Dark Temptation a special drink with chocolate liqueur, dark chocolate dust and Amarula and Brambletini a delicious mix of muddled Strawberries, Blackberry, spiced Raspberry liqueur and mulberry caviar. 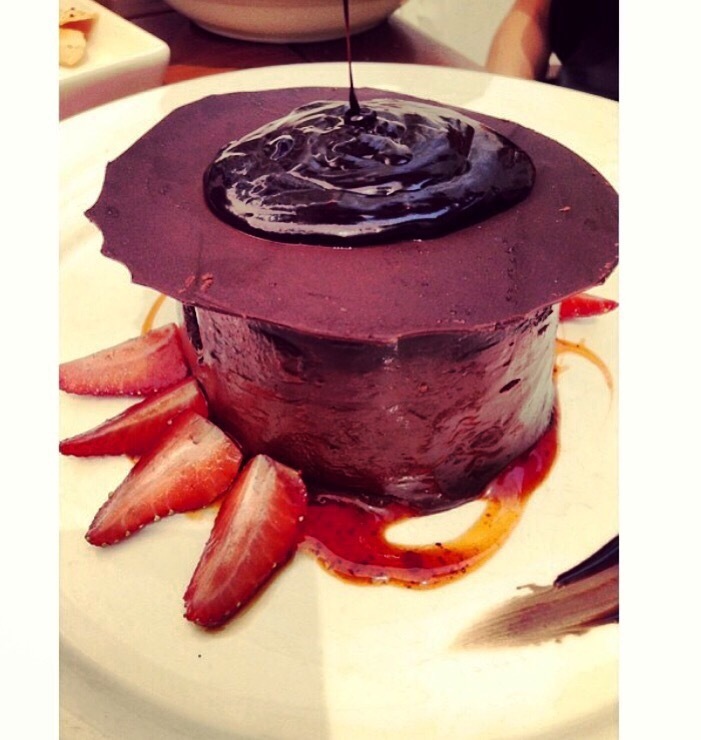 Plan your perfect valentine date at The Sassy Spoon. 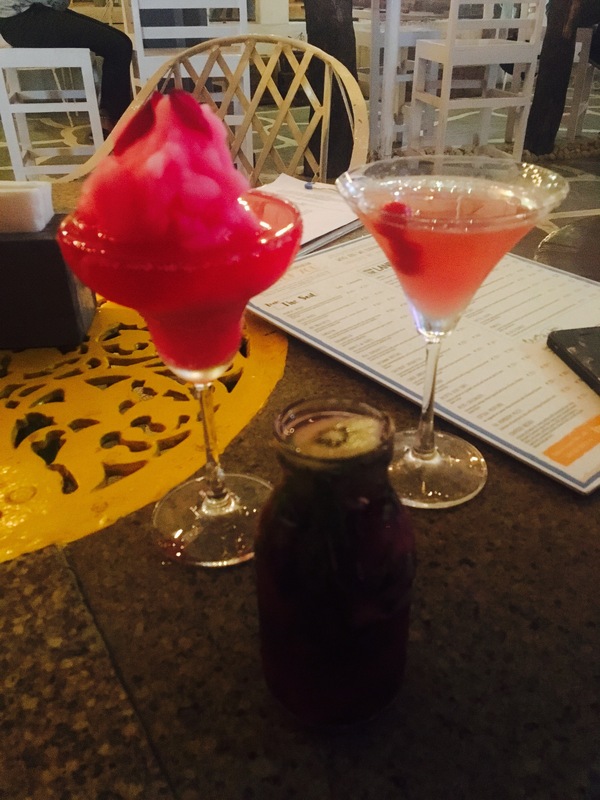 Previous Previous post: The House of Medici – An Up-Class experience! Next Next post: It’s a FOOD TRUCK RUSH at Vh1 Supersonic 2017!